My old friend, Vogue‘s Deputy Managing Editor, David Byars' new book is Our Time at Foxhollow Farm: A Hudson Valley Family Remembered. The 312-page tome mines America’s aristocracy —specifically the Dows family of Rhinebeck, New York, a bunch who knew how to live and might just have their own PBS Masterpiece Theater series one day. In 1903 Tracy Dows, the son of a successful grain merchant from Manhattan, married Alice Townsend Olin, whose Livingston forebears had settled in the Rhinebeck, New York, area in the late 1600s. Dows purchased and combined several existing farms to establish his estate next to Alice’s ancestral home. 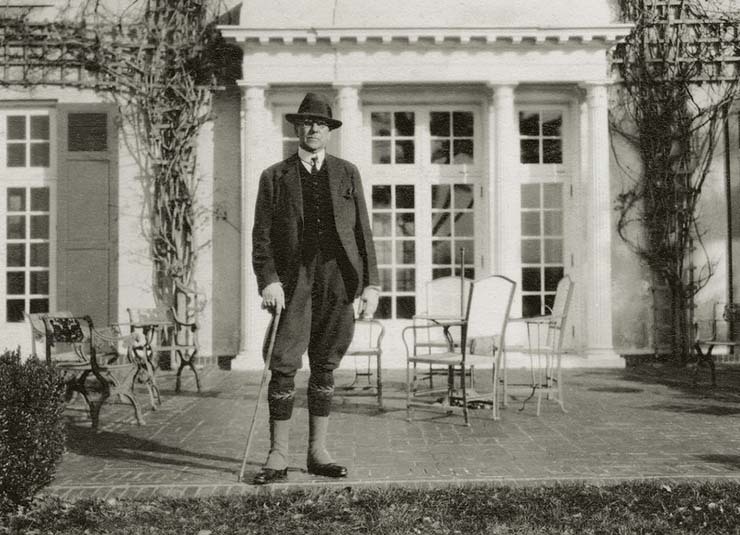 It was called Foxhollow Farm, a sprawling Colonial Revival country house that architect Harrie T. Lindeberg completed in 1910. 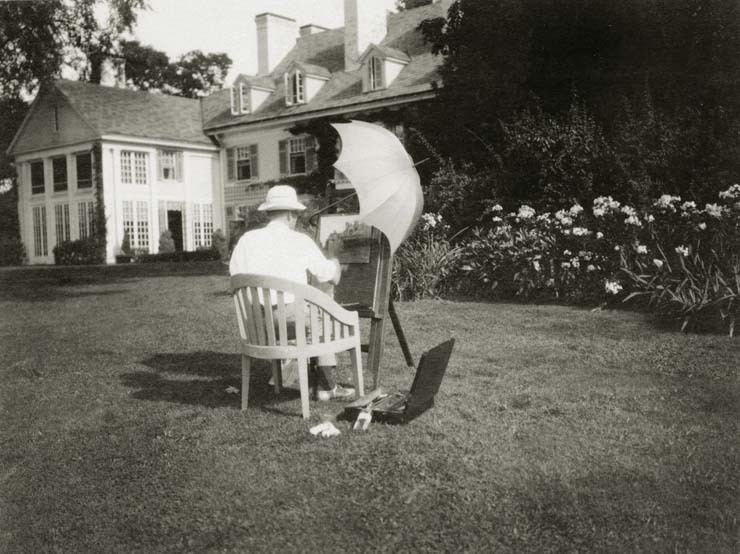 Byars, as a frequent upstate visitor, is no stranger to images of fine living and high style, combed through the Dows collection of family photographs, many of which were taken by Tracy. Hundreds of these images were preserved by Hudson River Heritage, where Byars is a board member. It all took place 100 years ago and without the relatively new tech invention of photography, all the beauty interiors and gardens, along with fantastic details of fine living, might have been lost to time. Whether marrying off a daughter, attending a country fair, taking art lessons (the Dowses’ muralist son, Olin, was big in the 1930s WPA program) or just strolling through the garden, it all looks like a LOT of fun. Famous names like Vincent Astor, Franklin Delano Roosevelt and Thomas Wolfe, make cameos. Not all of the glamour takes place at Foxhollow, some high-society destinations like Santa Barbara, Monte Carlo, Venice and Ravello show up in vacation snaps. But taxes, marital strife and the Depression—all took their toll and the Dows family split apart and in 1930, Foxhollow Farm was turned into a girls’ school and eventually sold. Today it’s a substance-abuse treatment center. But a big thanks is owed to David Byars and Hudson River Heritage —plus participation of several Dows descendants —that this Gilded Age has opened it doors to a bye-gone glory once again. You can get the book at Amazon for $40. An excellent housewarming if you are coming to visit me in upstate New York.